I think the best gift you can give a child is a handmade toy. 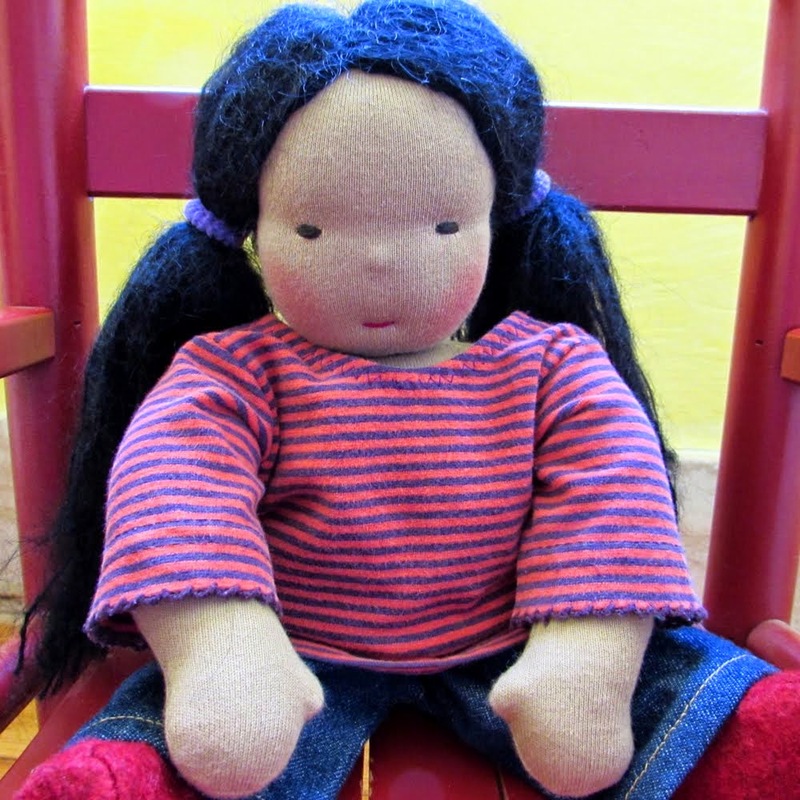 It's tough if you cannot afford a cute waldorf doll made by a famous doll artist. That pricetag of around $200 and up just seems whole lot of money. But once you consider that up to 20 hours of labor can go into a single doll, her clothes, and accessories in order to get every little detail right - you may think it's a bargain. 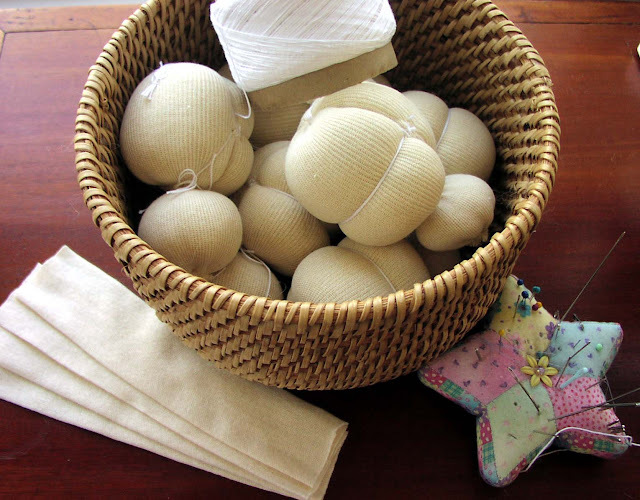 Have you ever considered making a waldorf style doll yourself? Maybe if you put your mind to it you could get it done by Christmas? Well, the hardest part about making a doll is the making of the head. Even after years of making them it still takes me, the professional, about an hour on average to make a good doll head. I dedicate about two days a month to just that task. I am not sure whether you noticed. I recently added a couple of doll making supplies to my Etsyshop. For those of you who would like to create your own professional looking doll, I definitely recommend buying a dollhead. I think the head of the waldorf style doll is the most important part of the doll. You can have the finest materials and greatest pattern, but if the head doesn't turn out, your doll will not look so great. When making a waldorf doll you have to remember: "It's all in the head!" Want to give it a try? Then "head" on over to my shop and purchase a head. I am not sure how many I will be selling this season. For now I am only offering the size that is suitable for 10-12 inch dolls. I think that is a good size for a starter doll. If you need a bigger or smaller size you can send me a personal message.